Now lets go master it. For starters, you need the right tools. For best results, you should get a grinder. A grinder literally grinds the batter between stones. This is different from blending, which basically just cuts and mixes ingredients together. A grinder is very easy to find and not that expensive. But if you don’t have one, then you can use a Blender. A Pulverizer works too. Tip: Keep the rice and urad dal separate until the end. Start with washing the rice well. Don’t touch the urad dal until later. Soak the rice in tepid water for around 4-5 hours. At around 4 hours, wash your urad dal nicely. Once more soak the urad dal in tepid water. Tip: Don’t soak the ingredients in cold water, it takes longer to ready. Now your ingredients are ready. Start with the rice. Don’t throw the water away. You can use that to thin out the batter. If you are using a grinder, then you need to let the rice go for half an hour. Then pour the rice batter out into a deep container. Next put the urad dal and let it go for another 20 mins in the grinder. Once the urad dal is done mix it with the rice batter. Add salt to the mixture and thin it out if necessary using the water you saved earlier. 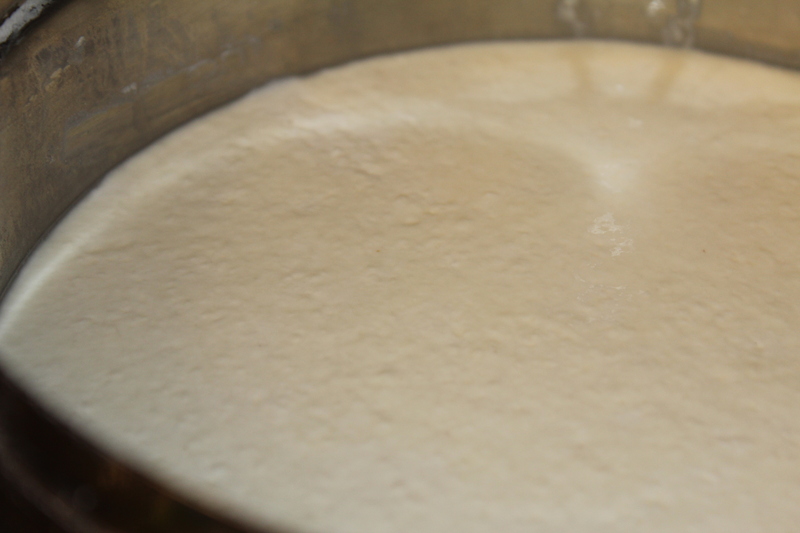 The batter should not be watery but thick (thicker than pancake batter). If you are using the blender, follow the same method. Blend the rice and dal separately and then mix them together in a deep container. Keep the batter overnight in a warm place. Tip: If you are in a cold place or winter, cover your dough with sweater and keep it in the over. Leave the oven light on. That will help the batter to rise. 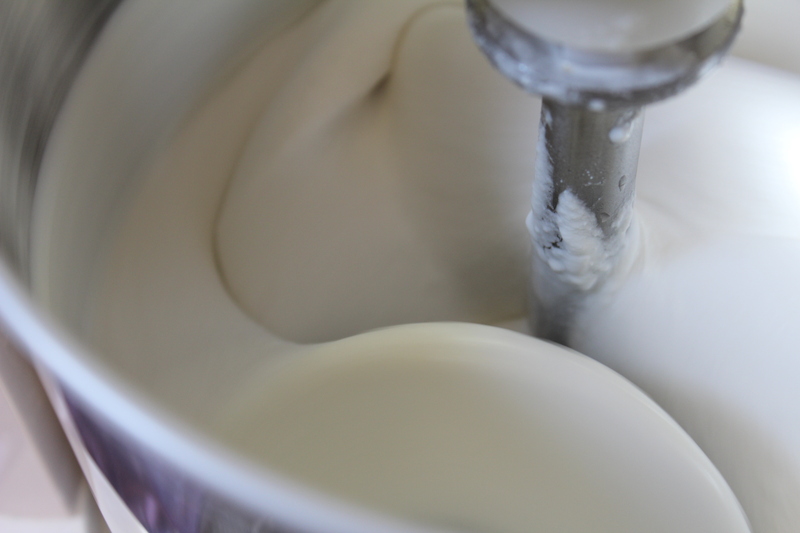 Once the batter has risen, it’s ready to use. 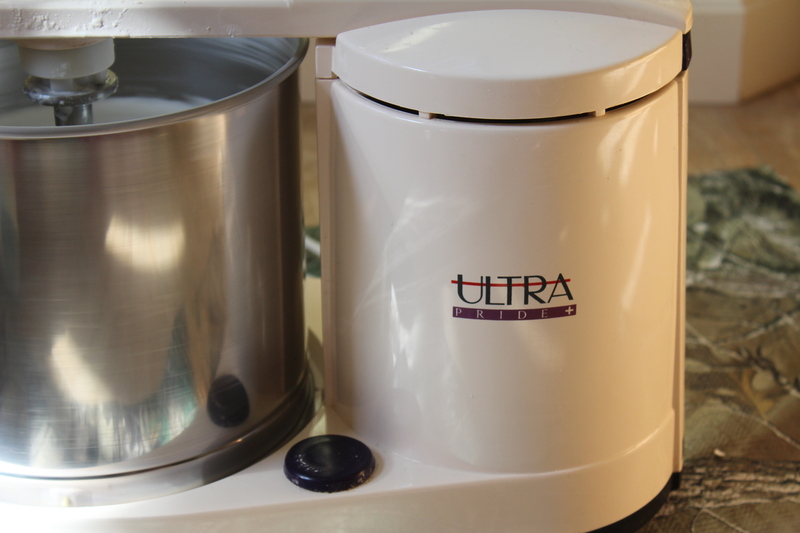 You can use this to make great dosas or idlis or savory crepes. Good luck and hope you master the art of making batter very soon with my tips. Thanks for sharing! I’m totally going to try it this way. We’ll see how the batter does at altitude and if that makes a difference in cooking. Yeah Alison. Let me know how it works out. How the idlis and dosas turn out!